The Sonnenberg tower at Maisprach sits on the Fricktal border. 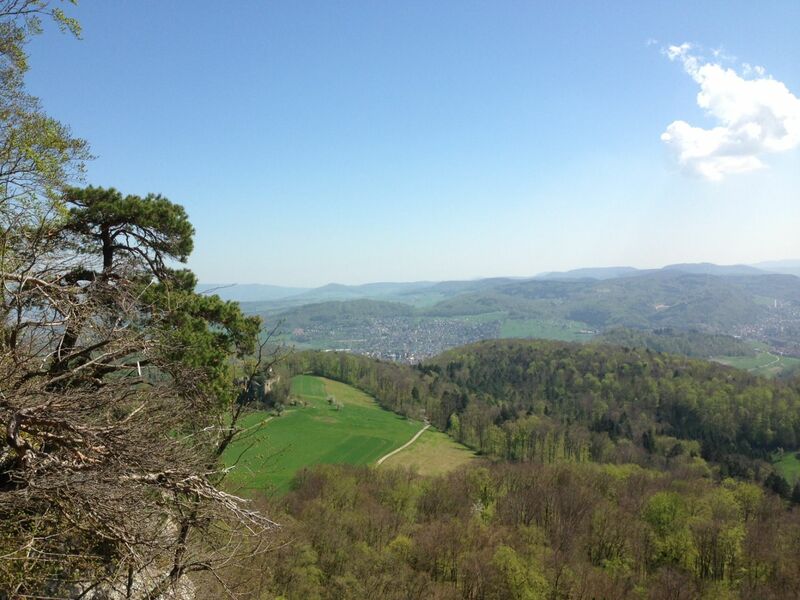 After climbing its 99 wooden steps, you will be rewarded with a fabulous view of the Black Forest and the Alps. 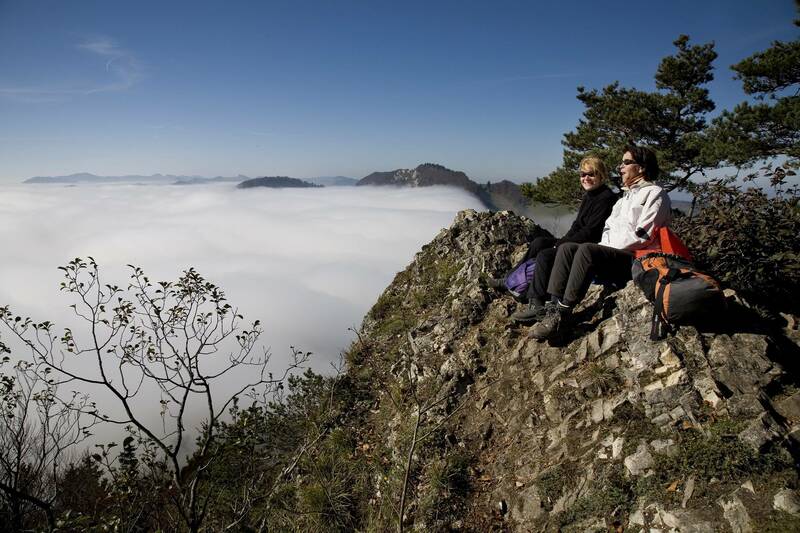 The 700-metre-high Sissacherfluh (Sissach ridge) is a well-known vantage point and guarantees a great view over Ergolztal and Diegtertal – and even as far as the Alps. 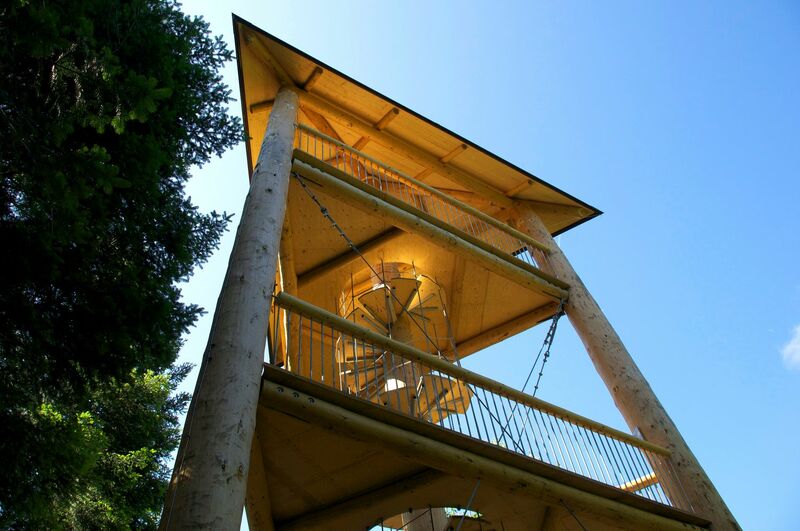 An unimpeded view of nature awaits from the platforms of both forest watchtowers on the Titterten adventure trail. From here, you can see carpets of leaves, treetops and – if you are quiet and look closely enough – possibly even some animals, large and small. The Remel tower is an eight-metre-high tower. 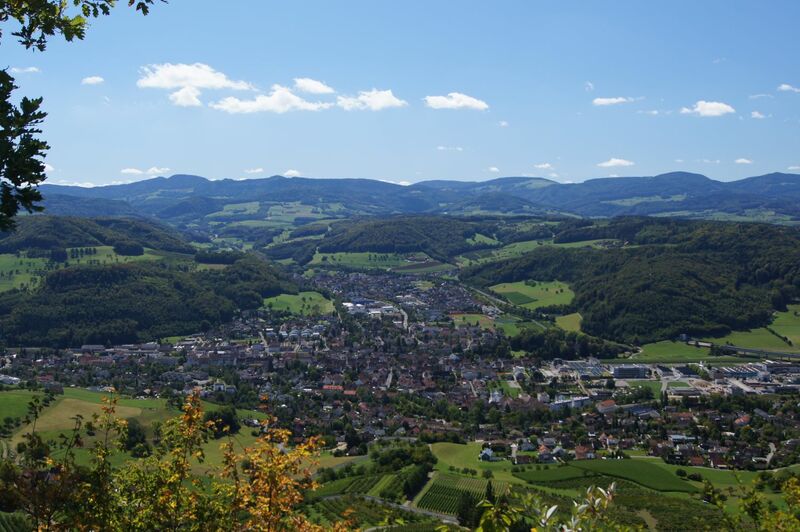 It sits 832 metres above sea level between the Swiss commune of Kleinlützel and the French commune of Wolschwiller. It was erected in 1901. 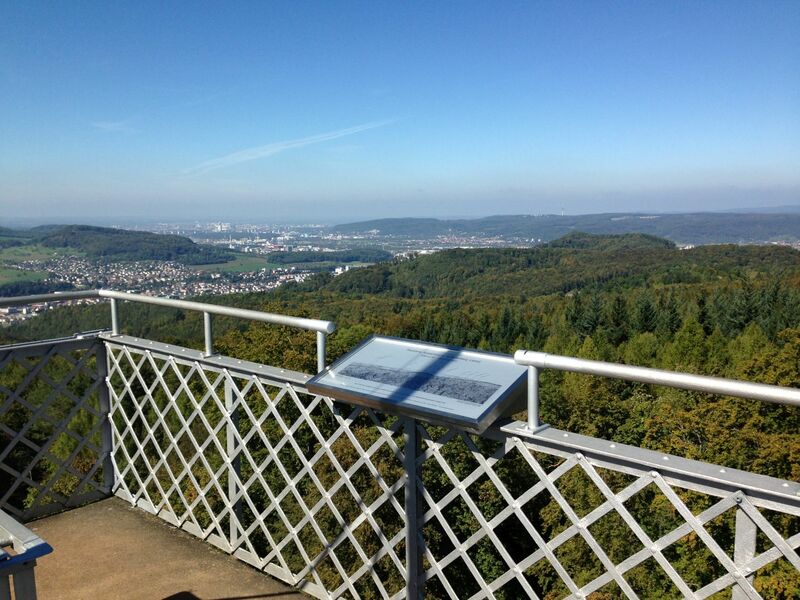 The Wisenberg tower near Häfelfingen is situated at 1001 metres above sea level, is 24.5 metres high and is a prominent landmark in the area. 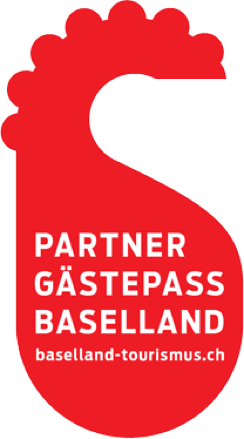 It offers a wonderful panoramic view over the Homburgertal and Basel region, across the central plateau and as far as the Alps. 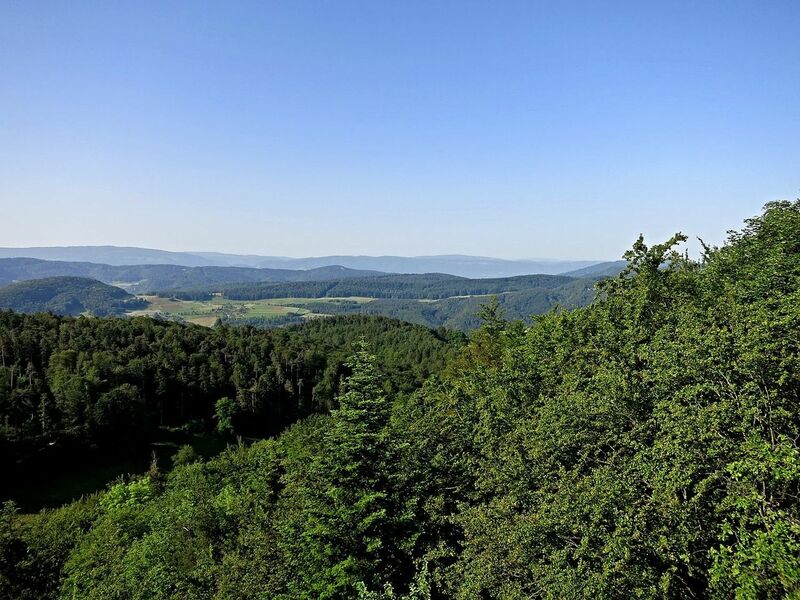 High above the Belchenfluh, at 1098.8 metres above sea level, there is a fantastic vantage point offering a panoramic vista and complete with information panels, making it a real draw for hikers and walkers. 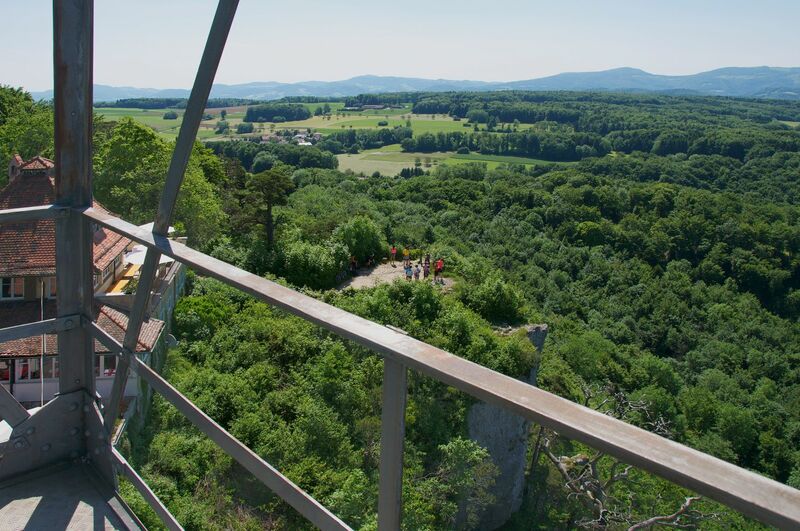 The Liestal viewing tower is located on the Schleifenberg and offers a wonderful view of the Basel area’s county town and the surrounding communes. 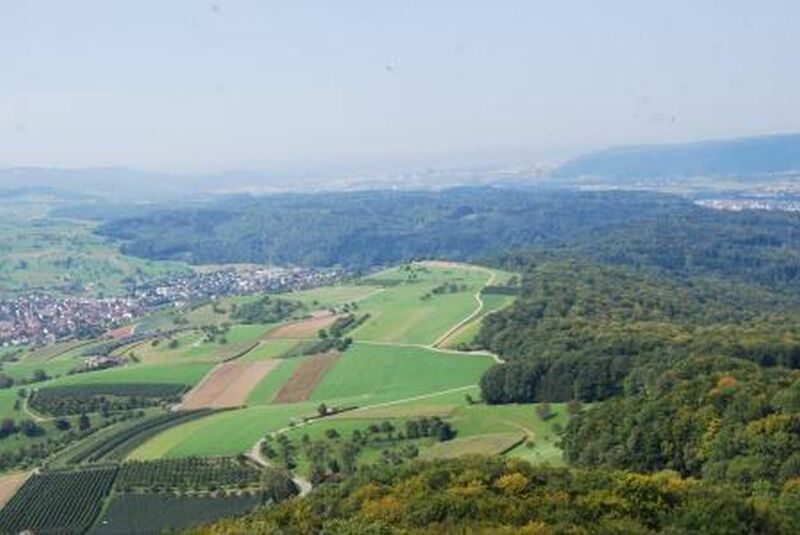 One of the nicest vantage points in the region is the Chellenchöpfli, 1156 metres above sea level – the second-highest point in the canton of Basel-Landschaft, after the neighbouring ‘Hinteren Egg’, which stands at 1169 metres above sea level. The Gempen tower constitutes a fantastic viewing platform and is a popular destination for hikers, walkers, nature lovers and tourists. The vantage point on the Schauenburger ridge above Frenkendorf offers an incredible wide-ranging view of the Ergolztal and on to the Alps.